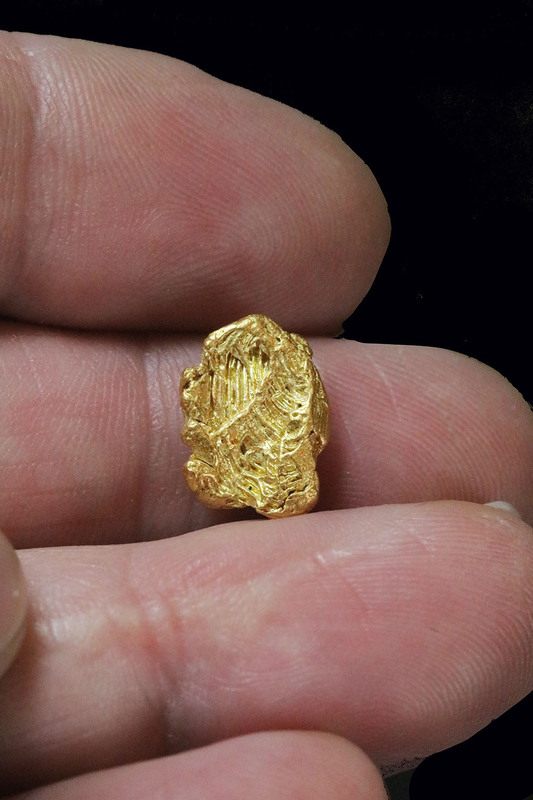 A beautiful and rare gold specimen from the Yukon. 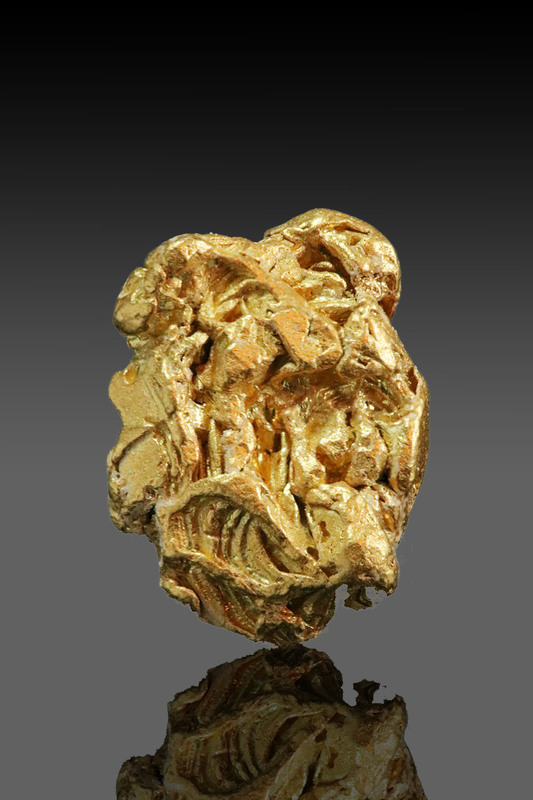 A very pure yellow gold color and defined hoppering that formed in two directions. 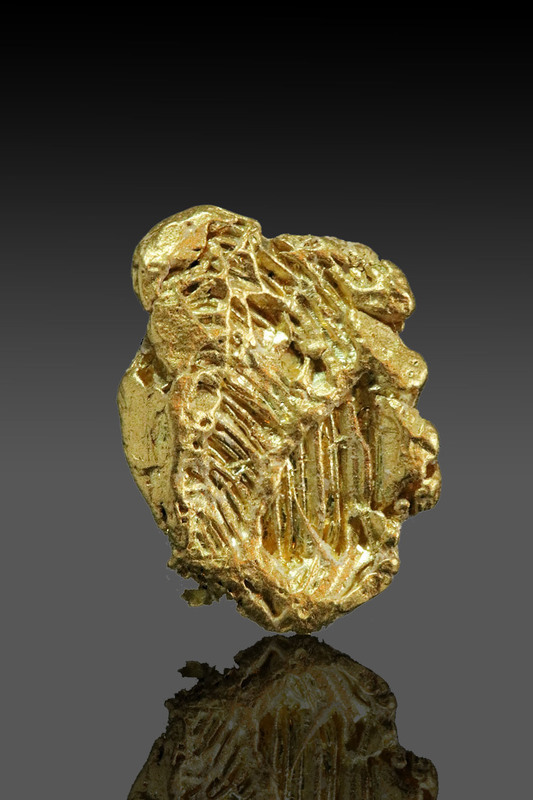 The other side of the specimen has a very intricate crystalized form. A very rare specimen form the Yukon and a piece I hand selected from hundreds that I saw during my travels.